Chris has over 30 years of experience in the food industry having worked for Unilever, primarily in frozen foods and ice cream, since 1971 in the UK, Trinidad, Brazil, France and the Netherlands. Over this period, Chris held a number of positions largely in marketing and general management with global, regional and national responsibilities. He left Unilever in 2004 in order to focus on a number of other interests and runs his own Marketing and Sustainability consultancy firm. 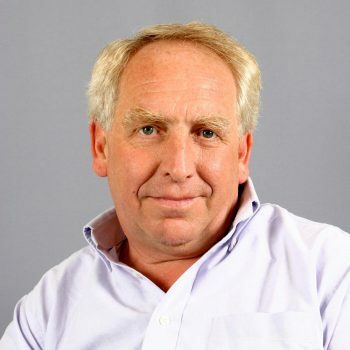 Chris was Chairman of the Cornwall and Isles of Scilly Local Enterprise Partnership, appointed in early 2011, and an Advisory Board member of the European Centre for Environment and Human Health (part of the University of Exeter Medical School). He was appointed a Trustee of CAAT in late 2012. Chris was born in Truro in 1982 and raised in Fraddon in the heart of Clay Country. He was educated at Newquay Treviglas before attending the University of Bristol, where he read Biochemistry. He returned to Cornwall and worked for the Inland Revenue in St Austell before relocating to London, where he retrained as a journalist and began working in local newspapers. He is now the night editor at The Sun Online, Britain's biggest news website as well as being an active member of the London Cornish Association. He lives in Coulsdon, Surrey, with his wife Elena and son, Nicholas. His interests include rugby, family history, and gardening. 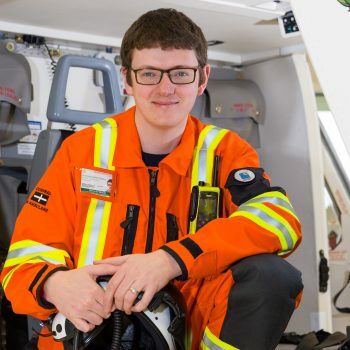 "I'm a proud Cornishman so to have the opportunity to help a great Cornish charity like the Air Ambulance Trust is a real honour for me. There's a significant diaspora of modern day 'Cousin Jacks' in London so I'll be leveraging my contacts to raise as much cash as I possibly can for the New Heli Appeal. We have a challenging fundraising target to meet but I know that the people of Cornwall - with some help from those of us living 'up country' - will deliver, as they have done ever since this fantastic charity took off. Kernow bys vyken." 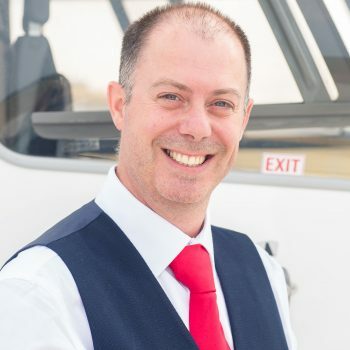 Dave's career to date has been within the travel industry and in banking but he has always had an interest in charity since the age of 10 when he organised his first event, a car boot sale. This was because his auntie passed away and Dave felt that he needed to do something to help. Since then he has jumped out of planes, walked on fire, walked down the side of tall buildings and cliffs, cycled, swam, been waxed and he has also done a charity calendar (yes, one of those!). 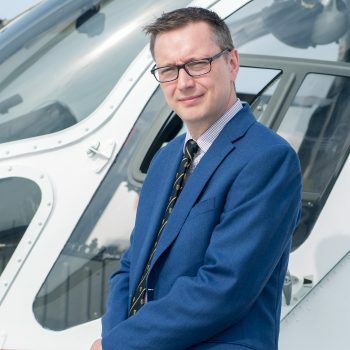 This gave him the charity bug and now he is so proud to be involved with Cornwall Air Ambulance. He says that he has never enjoyed a job so much as he gets to work with great people and raise money for a great cause. Outside of work Dave loves nothing more than spending time with his family and its every growing animal population. They could open a petting farm with the horses, pigs, sheep, dogs, cats and guinea pigs that they have! Family is so important hence his car knows the M5 very well as if they are not at home they are in North Somerset or Tetbury. Debbie joined the charity in January 2018 as the Fundraising Manager for the Philanthropy team. She oversees Corporate Fundraising, Legacies, Trusts and Grants as well as the Challenge Events held by the charity to raise vital funds. Following a successful career in social services, media and mainstream politics, Debbie was inspired to ‘put something back’ by moving into a career in the charity sector. Debbie has worked in the charity sector for 10 years now, with experience in Fundraising and Legacy Management. She previously worked as a senior fundraiser for well-respected Cornish charities that have touched her family including Cornwall Hospice Care and Cornwall Blind Association. Debbie's father was airlifted by the Air Ambulance many years ago and she know's only too well the difference that the Air Ambulance makes to people and their families, Debbie is looking forward to working with and meeting all the great people who help keep the air ambulance flying. Hobbies – Art, Gardening, Travel, Genealogy. Passions – Family (wider) and (Immediate) Hubby and her 2 sons, and Cat. Values - To pay it forwards and strive always, to make a positive difference. Donna is the manager of our Newquay Charity Shop. 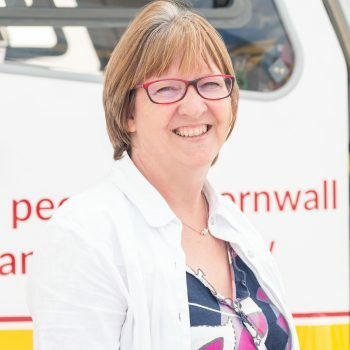 Previously with St Peter's Hospice in Bristol, and having also worked as a training manager, she joined Cornwall Air Ambulance in August 2014. Anna is a Consultant in Emergency Medicine and joined Cornwall Air Ambulance in 2012. She works at Royal Cornwall Hospital in Truro and has a special interest in Pre-Hospital Care. She is also an instructor in Advanced Trauma Life Support, Advanced Life Support and Advanced Paediatric Life Support. Anna has previously worked in Australia at Royal Perth Hospital and also in the country's critical care aeromedical response and rescue service. 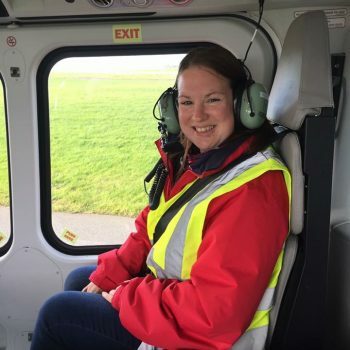 She has also worked for Bristol Helicopter Emergency Medical Service and is experienced in managing the additional challenges faced when working in the pre-hospital environment. She has accompanied trips as the Expedition Medic to Peru, China, Iceland, Kilimanjaro, Vietnam, Cambodia and Morocco as well as being involved in High Altitude Medicine research on Mount Everest. She was also the Chief Medical Officer for the Amazon Jungle Ultramarathon. 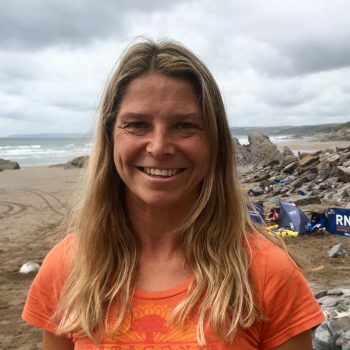 As an outdoor pursuits enthusiast, Anna loves spending time with her family on the beaches and cliff paths of Cornwall.